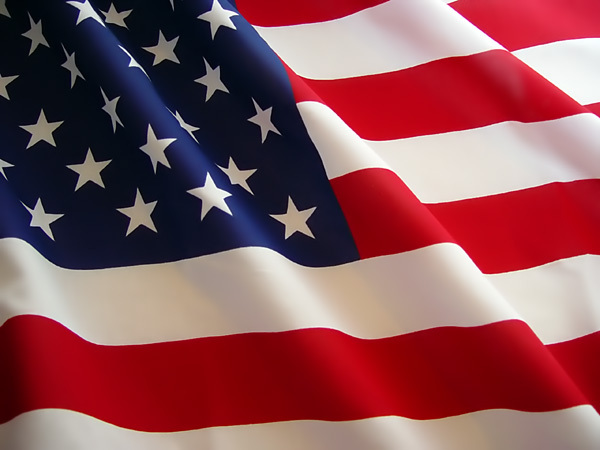 Oracle has announced desupport for Oracle 9i release 2 as of July 31, 2007. This is an important announcement for any Oracle customers who must run on a fully-supported release of their Oracle database and upgrade to Oracle 10g. 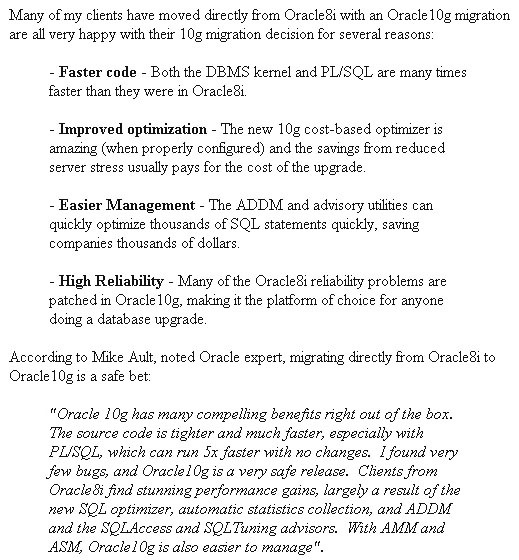 Oracle10g upgrades can be very risky. If you miss a new parameter or forget a trivial configuration issue your Oracle 10g upgrade can be a disaster. Why take the risk? BC does 10g upgrades regularly and we know all the Oracle10g upgrade secrets and we can ensure that your Oracle 10g upgrade is optimal and reliable. BC wrote the book on Oracle 10g upgrades. 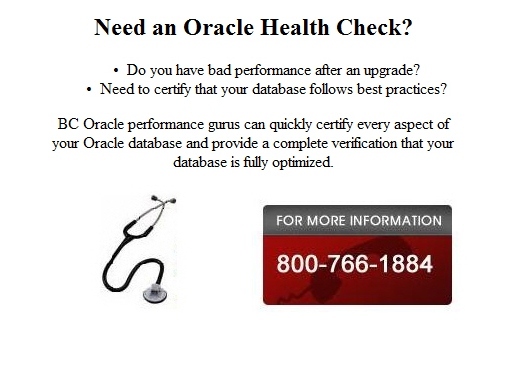 Within a few hours we can review and certify your new Oracle 10g upgrade, or we can perform the whole Oracle 10g upgrade from Oracle8i or Oracle9i with minimal interruption. We support all levels of Oracle10g upgrade services and we can perform your Oracle10g upgrade in just a few day or certify the optimization of an existing Oracle10g upgrade in just a few hours.